Over 200 million NIS has been invested in the development of the most beautiful neighborhood in Israel. Over 80% of apartments have already been sold. 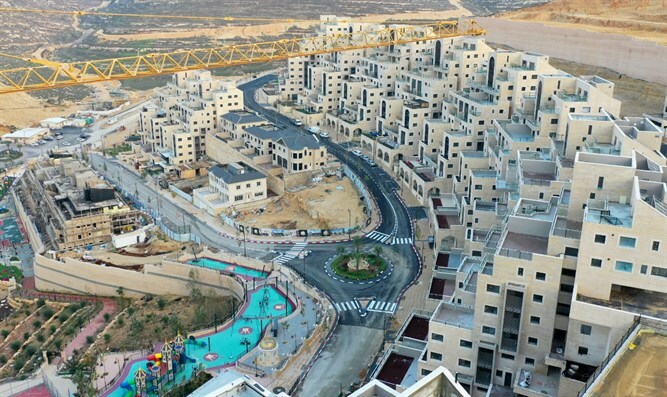 The development of Ramat Givat Zeev, with its attention to the highest possible quality of construction, and concern for creating a safe, friendly neighborhood for its residents, has made the project extremely popular among new immigrants. The meticulousness of creating institutions along with the great educator Rabbi Horowitz, makes the neighborhood a magnet for the Jerusalem residents who want to be part of something unique, and for their children to have the best educational experience possible. The Kass Group made sure to develop the neighborhood to the highest standards in the country, not only by building amazing houses, but also by planting thousands of trees, playgrounds, sports courts and a Mikveh, all of which has led to the increase in public demand. In fact, the neighborhood is in such high demand, that the real estate experts predict that the price of apartments in Ramat Givat Zeev will soon surpass the price of apartments in Jerusalem. Find out how you can own property in the most sought after neighborhood in Israel at www.nofei-israel.com or email office@nofei.com to schedule a meeting with a representative.